By Glenn Miller. 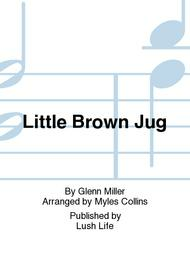 Arranged by Myles Collins. Swing. Full score and set of parts. Published by Lush Life (JL.LL-1074). 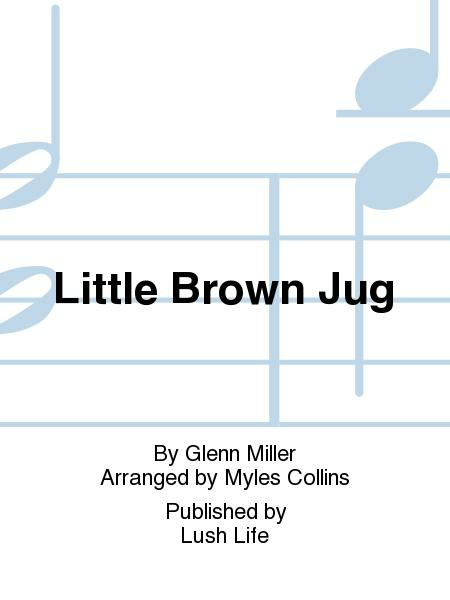 Little Brown Jug was an early classic for the Miller band, first recorded in 1939, with the original arrangement done by Bill Finegan. This is an accurate transcription of that version, complete with fully written out Tenor, Trumpet and Trombone solos. Many bands have a stock version of this chart in their libraries. The problem with it is that the solo's aren't scored, the trombone solo is missing entirely, and there are numerous other errors, such as incorrect voicings in the bridge, lack of backing behind the second half of the tenor solo and so on. If you wish to recreate the authentic sound of the Miller band, then this is the version for you. Baritone is on Alto throughout. It is the Sax voicing of AAATT that is the key to getting the right sound. The trumpet and Trombone solos are cross-cued onto the 1st and 2nd parts respectively. Ranges:Trumpets 1-4: Bb5,Bb5, Bb5, Bb5 Trombones 1-4: Bb4,Ab4,Ab4,Bb3.